Apple has taken great strides to ensure that iPhone users are having an Apple Maps experience on par or even better than Google Maps can provide. One of the factors powering this is extensions, which adds functionality to certain apps by giving them permission to interact. Among all the possibilities, one extension will let you reserve dinner tables right from inside Apple Maps. 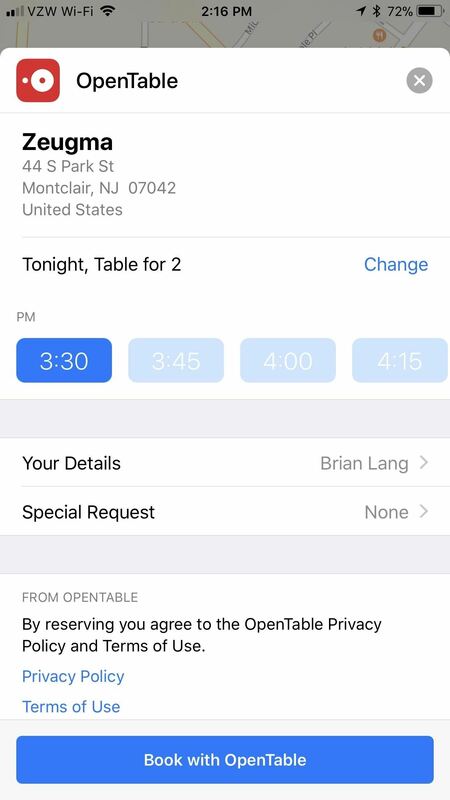 This extension for booking tables at restaurants was created by OpenTable, though Yelp also has one available. 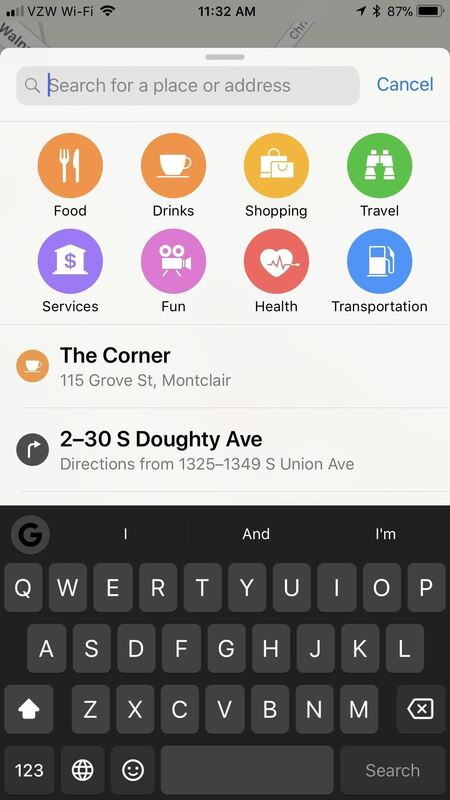 However, if you've never used these apps before, it might not be obvious how you would even start booking tables directly in Apple Maps, especially if you can't find any restaurants that support the feature. First, you need to install an app that will let you make reservations in Apple Maps. There are not many, so your only choices right now are OpenTable and Yelp. You can search for one in the App Store or just hit the link below to go straight to one of them. Tap "Get" to download and install it, then open it. For the rest of this guide, we'll be using OpenTable, but it should be fairly similar for Yelp. Once you open up OpenTable, either log in with Facebook or create your own OpenTable account manually. It's imperative that you have all this set up before you start booking reservations in Apple Maps. 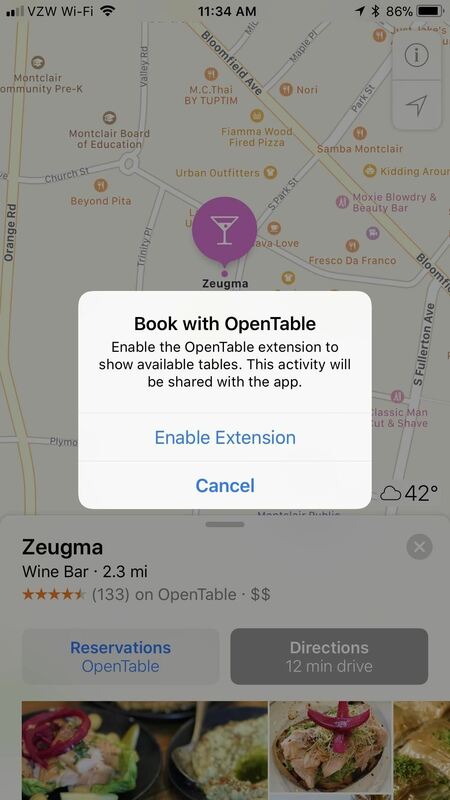 Otherwise, Apple Maps will just redirect you to OpenTable, defeating the purpose of the extension. Not all restaurants in Apple Maps will let you book a reservation. First, the restaurant needs to be one that accepts reservations, and they also need to be partnered with OpenTable to process their reservations through them. Still, this leads to a surprising number of eateries to choose from. 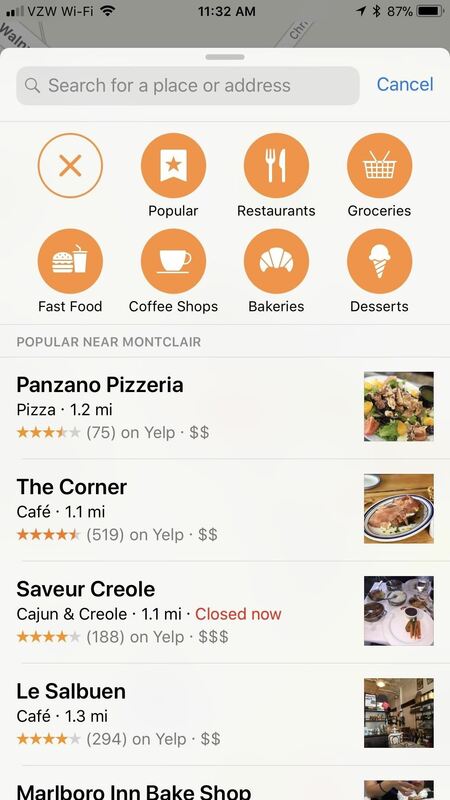 Once you open up Apple Maps, either manually look for a restaurant by typing it into the search bar at the bottom (it jumps to the top after you tap it) or by tapping the "Food" button that appears directly beneath the search bar. The "Food" section will expand to a list of types of "Food" (like restaurants and fast food), as well as suggest food near you. If a restaurant isn't OpenTable-compatible, then it simply won't give you the option to book a reservation in Maps. If it is compatible, there will be a button that says "Reservations OpenTable." Hunting for a place to reserve but not finding one yet. 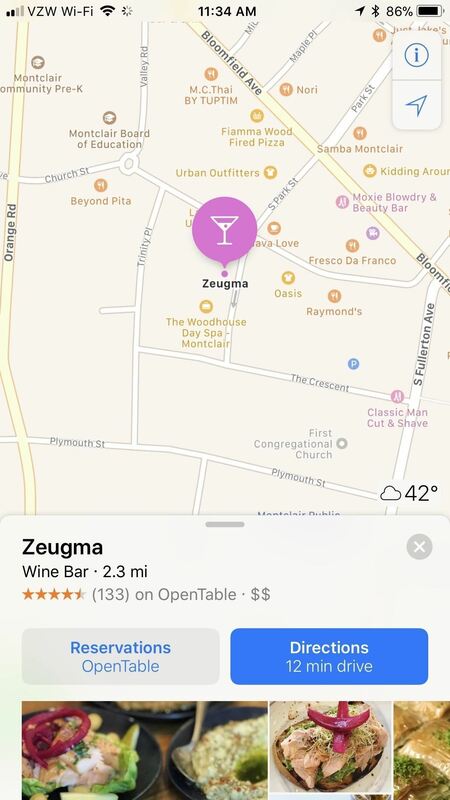 For example, when I searched for the wine bar Zeugma, I was able to book the reservation through OpenTable. Just tap the box that says "Reservations OpenTable" after you select the location in Maps. You'll need to enable the extension first by tapping "Enable Extension," but then you get plenty of options to customize your reservation. Here's a good place to reserve a table! 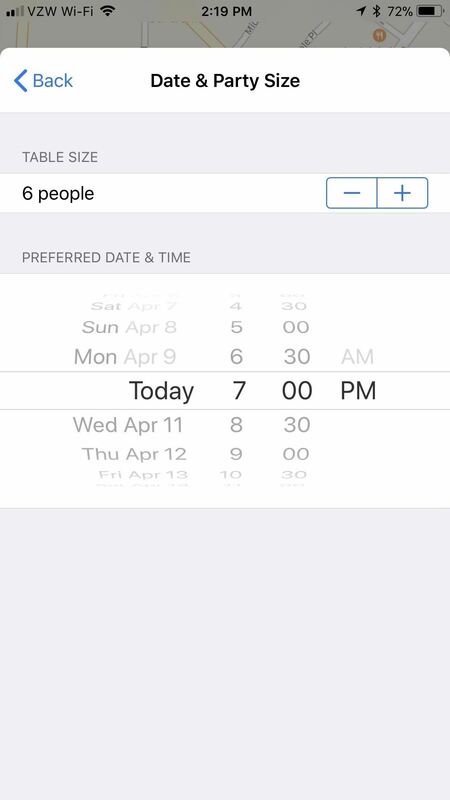 You can choose your time using the carousel or you can fine-tune that and your number of guests by tapping "Change" next to "Tonight, Table for 2." On the next screen, you can change how many people the reservation is for, as well as modify the date and time. Tap "Back" in the top-left corner, then hit "Book with OpenTable," and you should be all set! 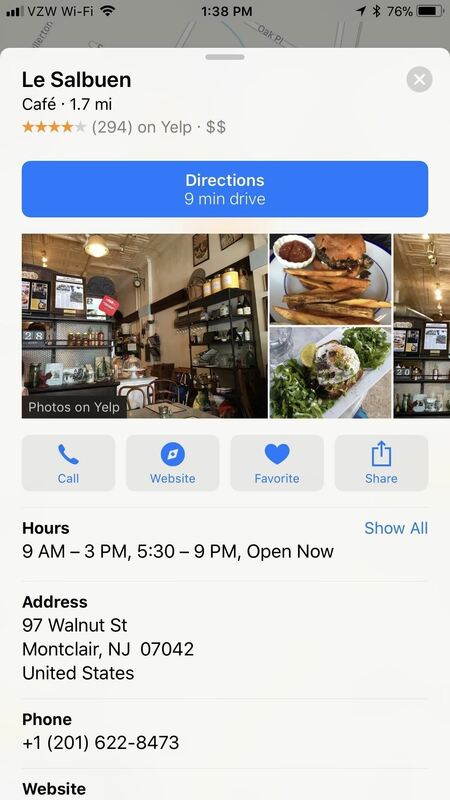 If you went with Yelp instead of OpenTable (maybe because you already have a Yelp account), the process is very much the same for booking a table in Apple Maps, only instead of looking for restaurants that partnered with OpenTable, you'll need ones that partnered with Yelp's reservation system.